Sneaking along the edge of an estuary, I was treading as carefully as I could while trying to keep my profile as low as possible and stay out of sight. My target was a small group of resting Royal Spoonbills. What’s more is I was doing really well so far … about eighty metres out and with the nature of the terrain I should be able to get to within forty metres or so. Perfect !!! Then it happened. One careless step and my left foot sunk into a soft patch of mud placing me completely off balance, plunging me sideways and sending me splashing into the water and mud. Very undignified and needless to say, the Spoonies bolted in a panicked blur of flailing feet and beating wings. Being wet through was bad enough but once I’d extracted myself from the debacle, stood up and recomposed myself, I discovered the worst part of the whole encounter … I was also covered in thick, sticky and absolutely foul smelling black mud !!! A long trudge back to the truck ensued with no spare dry clothes to get into and I even had to use the grubby, smelly towel that I use to wipe my Springer Spaniel down with, to dry off. I’d probably have been far better off if I was able to break my fall with my hands and arms but as I was carrying an expensive camera and lens my first instinct was to keep the whole set up dry by shoving the camera skywards as I fell. It’s the same when hunting with your favourite and beloved rifle. Your first thought when falling or stumbling is to save ‘old Betsy’ isn’t it ?! So, not a very good result from a bird photography point of view and of course, at the end of the day, my own fault. Nonetheless, just one of many memories I have of chasing birds round the countryside in search of that ‘perfect’ shot. Birds add a wonderful diversional dimension to our hunting and outdoor trips providing many interesting and often humourous encounters. 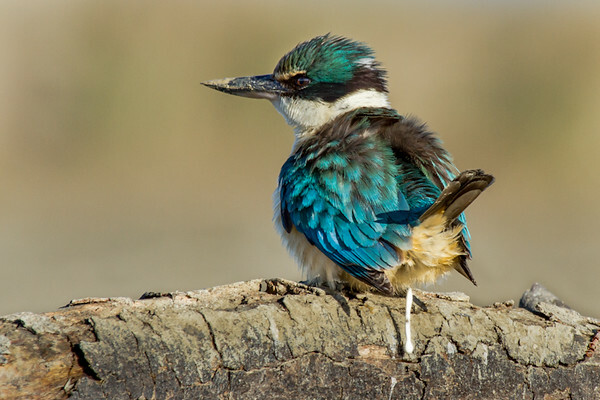 From the common and friendly campsite species such as Weka, Tomtits or Robins to the rarer species not encountered as often such as Blue Duck, Bush Falcons or Southern Crested Grebes. I think our trips would certainly be lacking a heck of a lot of interest without the presence of birds. Maybe it’s the fact that they are not a ‘target animal’ within our hunting trips and as such we encounter them in a much more relaxed and less pressured situation or perhaps it is simply the nature, character and personalities of the birds that help add that different dimension to our hunting excursions. All I know is that photographing them is very enjoyable and rewarding. Even just watching them is pretty cool fun. Another contrasting, chance incident I recall involves a show put on by a White Heron (Kotuku). 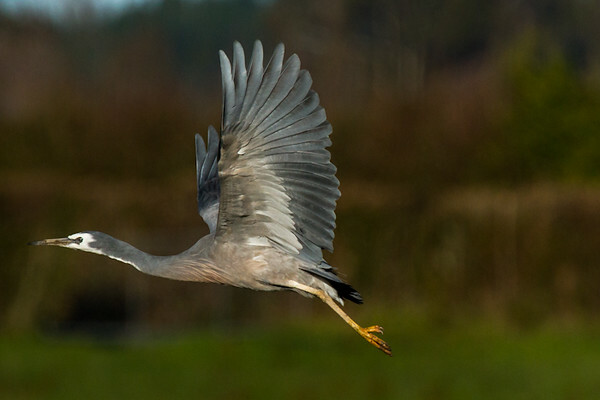 Driving home from work one day I noticed a heron ‘fishing’ in a shallow estuary right beside the road. A simple and openly direct approach found me in quite close enabling a few good images. Suddenly he thrust his head under the water and came up with a live eel only to drop the slippery, slimy thing very soon after. What I witnessed next I had only ever read about. He proceeded to literally dance and boogie his way round, legs and wings going ten to the dozen, herding the eel in an attempt to recapture his meal. Thankfully the bird was so engrossed in his activities that he didn’t take any notice of me. He never did find that eel again but what a fascinating and hilarious encounter. In this article I’d like to give a few pointers that I consider to be very important in producing really good bird images. These tips and advice are not so much the deep technical stuff but rather some practical things to help gain improved images. As discussed in the previous issue one of the most important aspects of any wildlife/bird photography is getting in close. So, you’ve made the big long stalk or perhaps have been waiting in your blind and a subject has arrived and is close enough for some frame filling shots … great. Now, the next and probably single most important thing to consider is where your focus point will lie. It’s imperative that the eyes of the bird be in focus. If you’re very close with a telephoto lens then the DOF will likely be quite small. This field of focus must be over the eyes. 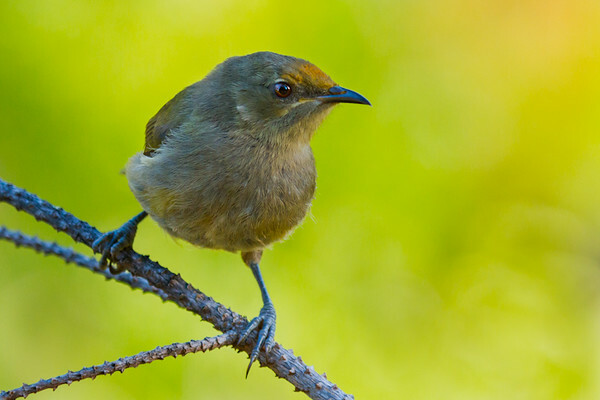 It doesn’t matter if other parts of the bird’s body, perch or background are out of focus. If the eyes aren’t crisp and sharp then the whole image will suffer to the point of being a ‘delete’. Remember in previous articles I’ve talked about how if the viewer cannot see the eyes (face) of a person in an image then that image will have no ‘life’ to it. It’s the same principle here with a bird’s eye being in focus. The in focus eye can also be enhanced further. You may have heard of the term ‘catchlight’. This refers to the sparkle or glint in the eye often seen in portrait images. There are two ways to create a good intentional catchlight. One is to use a low burst of your camera flash. Maybe a quarter to half of full power is enough to create a small catchlight and yet not overpower the rest of the image. The second way is to use the natural sunlight by simply thinking about the angle of the sun. Try and get the sunlight coming from over your shoulder. While the subject itself is naturally very important to the image also think about the background. ie, preferably a contrasting one to that of the colour of the bird. If the colour of each is similar the bird will get lost in the background producing a flat, boring photo. So try and find an angle which will contrast in tone or colour. 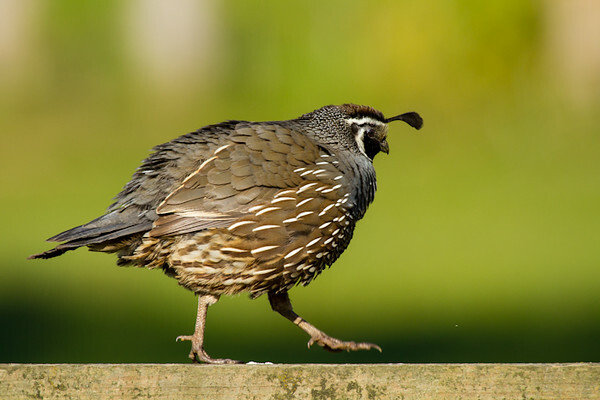 The above shots of the Quail are good examples. Another method of generating this contrast is to use a very small DOF. (Large aperture number). What this does is blur the background making the bird ‘pop’ out of the background. This large aperture will also produce faster shutter speeds which come in very handy in those less than ideal lighting conditions and will negate the possibility of handshake if not using a tripod. 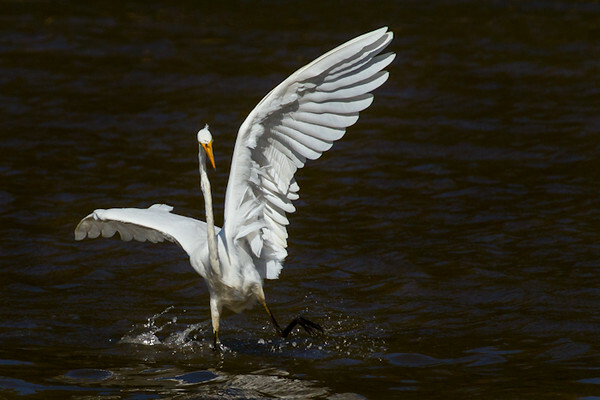 If your subject is a fast, skittery bird, the faster shutter speeds will give a better chance of attaining a crisp shot. Watch your focusing with the small DOF as it will have to be very precise. In the first six to twelve months of getting into wildlife photography more seriously I was happy to get pretty much any good, close sharp images of birds. After a while I realised that my images were fast becoming repetitive and fairly standard ….. that of static, perched birds. Sure backgrounds, perches and poses might have varied somewhat but I soon realised my images were lacking something. They required some movement, action or interaction to add more interest. I then consciously began to refrain from taking the first shot that presented itself and with more patience in my photography was able to start capturing more dynamic, lively images of birds. By patience I mean if you wait long enough sooner or later a bird will do something different than just sitting on a branch. Whether it be stretching his wings, preening, eating, ruffling and shaking his feathers, interacting with another bird (playing, fighting etc) or even ‘pooing’. It’s these sorts of actions that you want to try and catch as they form a good deal more interest in the photo. Employing varied and alternative angles and composition will also give your images more diversity. I’ve mentioned how important this aspect of photography is several times in previous issues and it is no different when photographing birds. And while we’re on composition another very good technique with photographing birds is the use of ‘negative space’. What this means is to compose your shot so that a significant portion of the image has nothing in it at all. Or to put it another way, the part of the image where the subject isn’t. This is a wonderful technique that has several positive spin offs and will aid in telling a much more compelling story in the image. 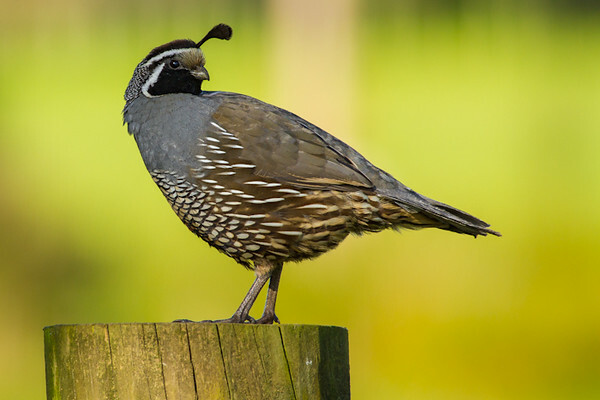 Let’s say you’re photographing a perched bird which is facing right. By composing the shot with the bird in the left third of the image (remember ‘the rule of thirds’ discussed in article four – landscape photography) you are giving the bird somewhere to look into. If you had placed the bird on the far right then it would look like he is up against a brick wall. ie, the edge of the frame and the viewer is left wondering what is in front of the bird. Same goes for a bird in flight. Composing the bird with room (negative space) in front gives the bird somewhere to ‘fly into’ and makes it look like he has just come into the frame rather than about to leave it. 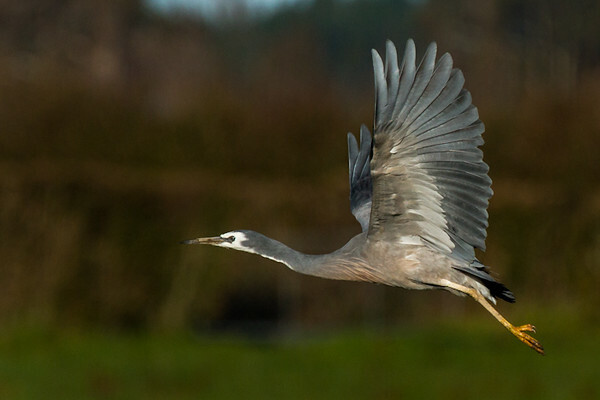 Compare the following two examples of this White Faced Heron taken in the Marlborough lowlands. Now here’s the same shot composed to other side of the frame. Notice now how it seems like he his flying into a brick wall. My brother is a keen gardener and I remember him telling me once that when planting trees, plants and shrubs around your property you should always put them in groups or lines totalling an odd number not an even number. Photographing birds (animals) is very similar. If an image has a single main subject (one bird) the viewer will have no problem going straight to it. When there are two subjects involved the eye (brain) has trouble deciding what it wants to look at and won’t be able to ‘settle’ in the image. Now, if there are three or more subjects in the frame (a flock of birds for example) the brain now sees and, more importantly, accepts them as one. As a group. The viewer will therefore settle in the image instead of being undecided and roaming around. So, if possible try and avoid capturing two birds in the shot. Birds are very prolific. From sea and shore birds down at the beach or river mouth right through to native bush and alpine species we see on our hunting trips. Even right in your back yard with the common garden species, opportunities for bird photography abound. They have provided me with countless hours of entertainment and some very satisfying and rewarding images. Most of the really good shots have usually involved a lot of preparation, hard work and most of all patience. All those ‘inactive’ hours waiting for the right image are never in vain though. Just the simple observation of birds and their habits is invaluable. The knowledge of them and their habits that you pick up will come in very handy in other situations hopefully making the next great photo a lot easier to obtain. So next time you’re out on a hunting trip and perhaps have a bit of down time of some sort, why not turn your attention to photographing some birds. And when you come away with a couple of good images it’ll leave you wanting more as well as the desire to try and better your results next time. I guarantee it. I think you’ll be surprised how much fun it can be. One of my favourite bird images and for once, one that ‘fell into my lap’. A day looking for Rifleman in the Haast area had been fruitless mainly due to very few sightings but mostly due to very poor lighting under the bush canopy. 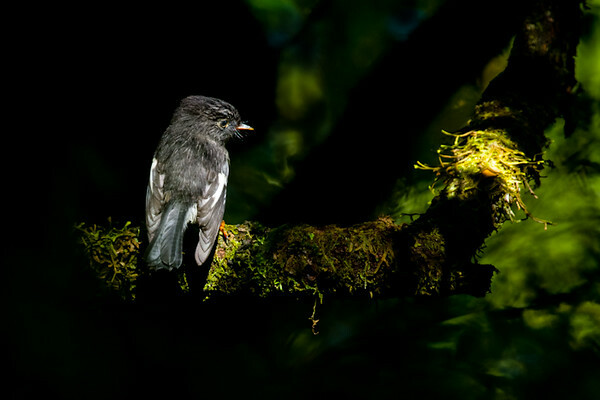 I couldn’t believe my luck when this Tomtit landed perfectly in the shaft of sunlight on the branch and then very obligingly turned and looked at the only other spot of light on the branch making for a very balanced image. Beautiful !! ( 1/160 @ 5.6, iso 800 ).